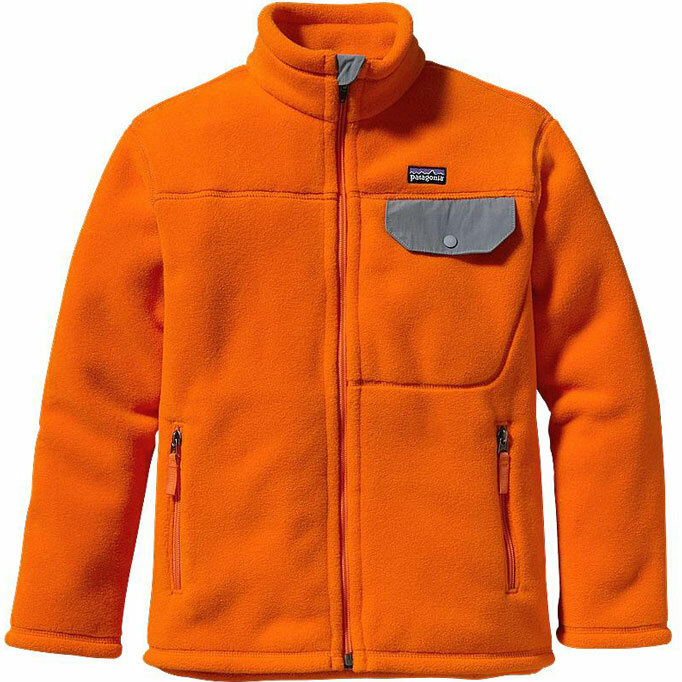 The soft and light Patagonia Micro D(R) Snap-T Fleece doubles as an insulated midlayer or as a stand-alone jacket in moderate conditions. 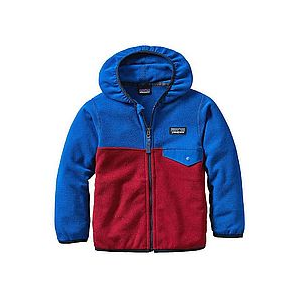 Whether she's gearing up for the mountains or packing up for the walk to school the Patagonia Micro D(R) Snap-T Fleece is an easy solution for complete coziness. 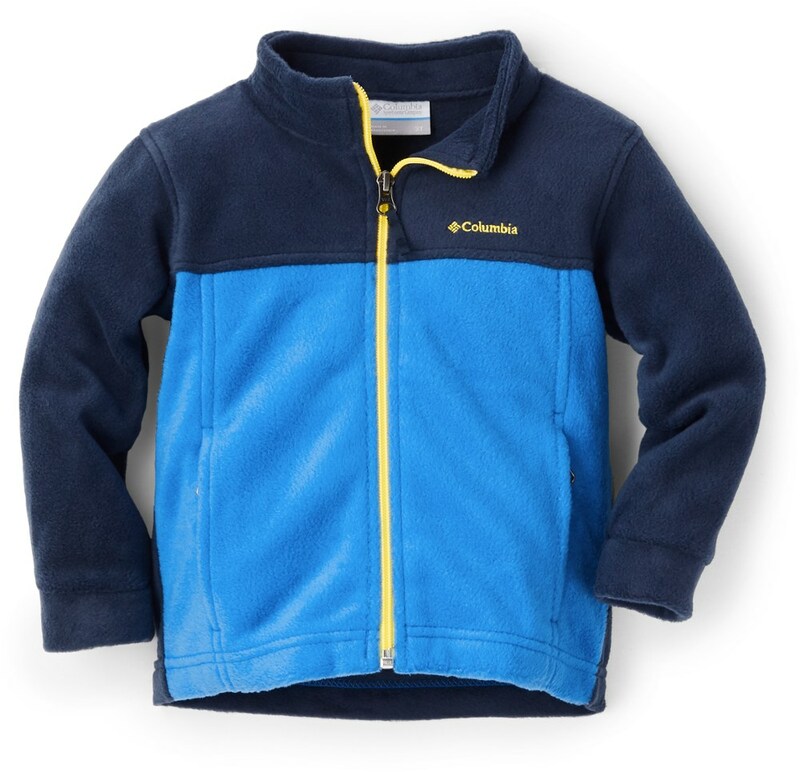 Keep your youngster cozy outdoors in the boys' Micro D Snap-T fleece jacket. This warm go-to jacket works well as a mid layer or outerwear-and can even double as a pillow on overnighters. The cozy Micro D(R) Snap-T(R) Jacket feels unbelievably soft and light, provides steadfast warmth, dries quickly and doubles as a pillow. The polyester 100% recycled microfleece plays the part of an insulated midlayer when paired with a shell or works as a comfortable stand-alone in moderate conditions. 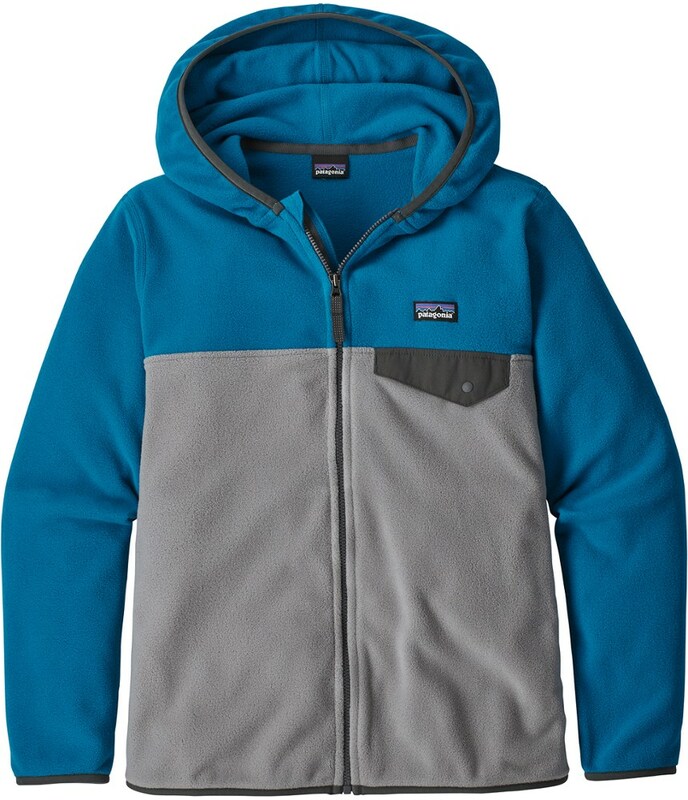 The full-zip design features contrast color blocking, fleece wind flap with webbing trim, zipper garage and reflective webbing pull. Handwarmer pockets and left chest snap pocket with nylon flap hold essentials. 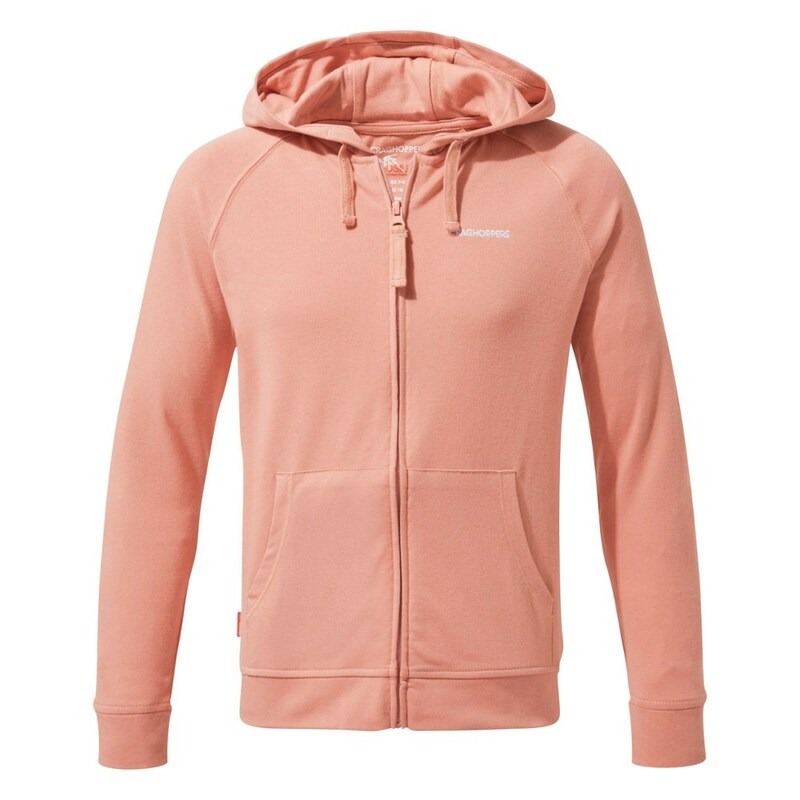 Spandex binding at hood, sleeves and hem retain warmth and provide a secure fit. Hip length. 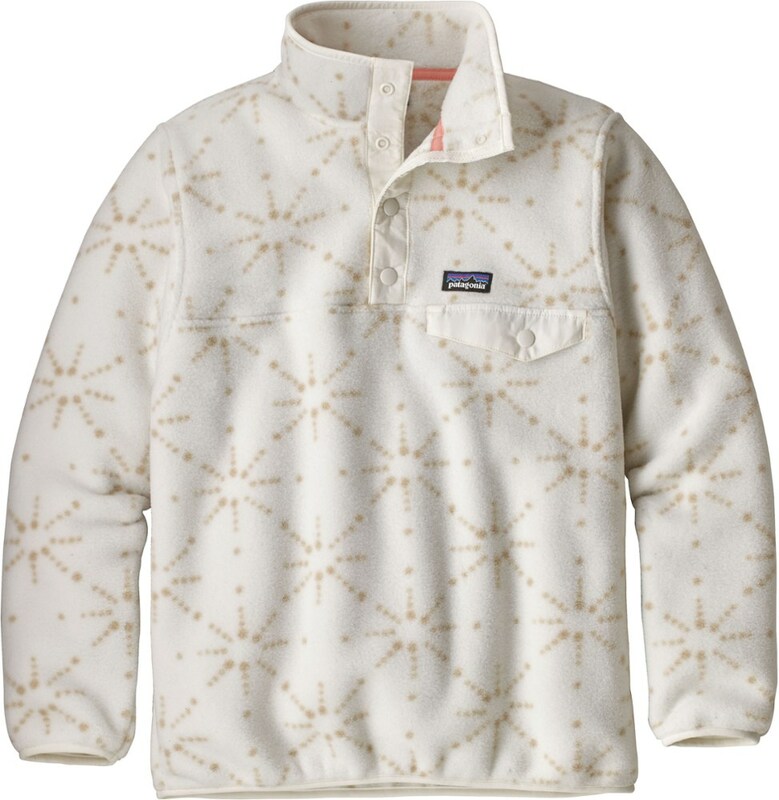 Get her ready for chilly family day hikes and after-school adventures with the Patagonia Micro-D Snap-T Jacket. 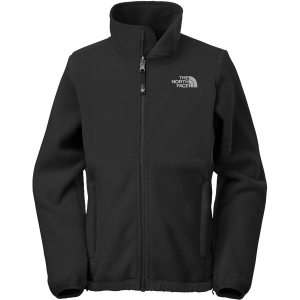 It's made with a lightweight microfleece that feels ultrasoft next to skin and works as a versatile layer all throughout the fall and winter. The full-zip design makes it easy to throw on layers beneath, and its lightweight feel makes it a comfortable midlayer on ski days and cold bus stop waits. A fixed hood with a spandex binding ensures a snug fit that'll keep out wind and cold temps, while handwarmer pockets provide easy storage and a reliable place to keep frozen fingers.